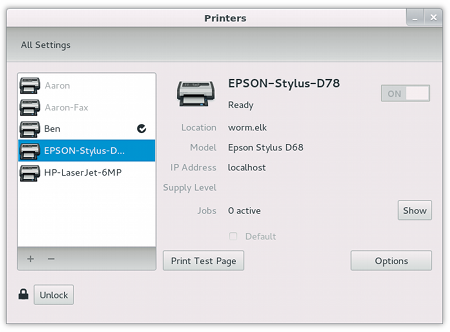 Previously I’ve described the D-Bus activation of dialogs in system-config-printer-1.3. That D-Bus interface has been extended to help improve GNOME. 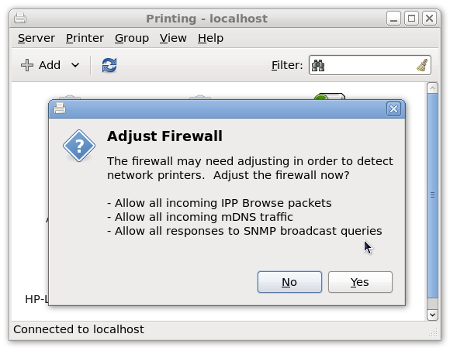 Fedora 15 has been released for a little while now, including GNOME 3. 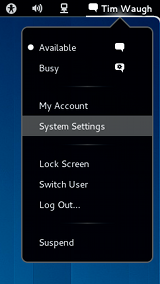 One of the great new features in this release of GNOME is the System Settings window. 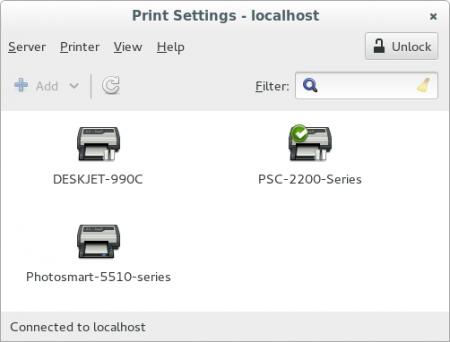 It is easily accessed from the system menu in the top right corner of the desktop. It’s great to have printer configuration in GNOME, and this interface is nice and simple. There are a couple of things that it needs to learn to do though.